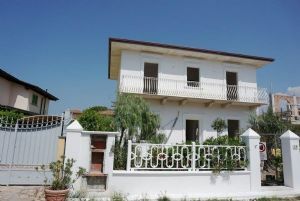 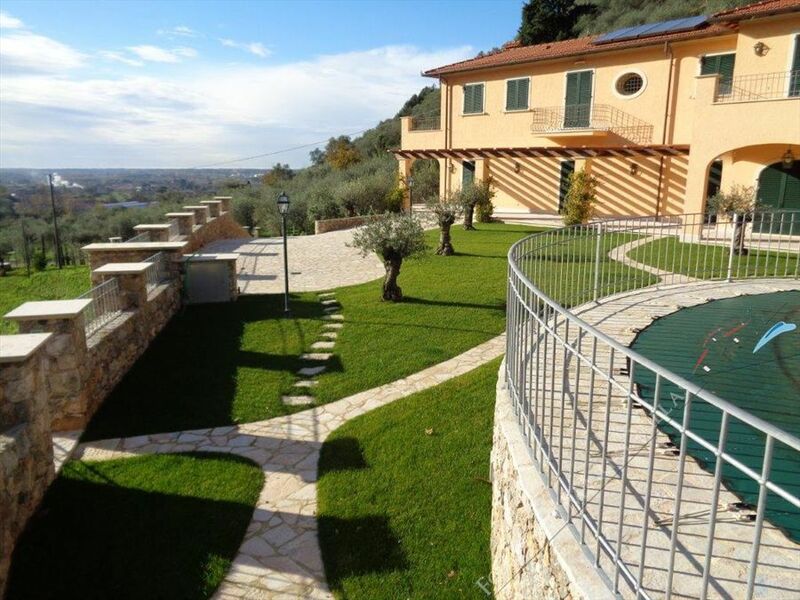 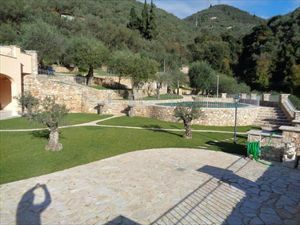 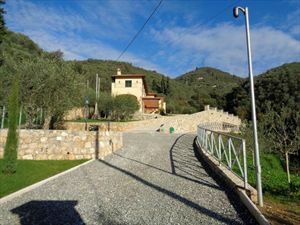 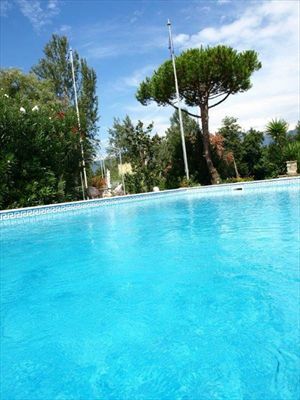 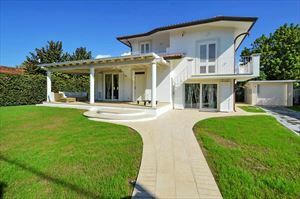 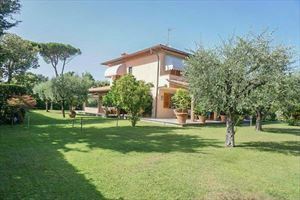 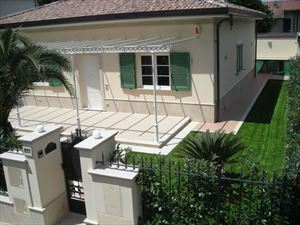 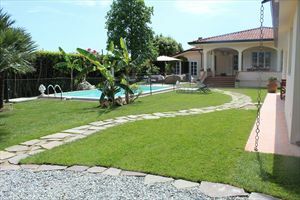 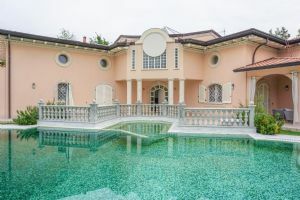 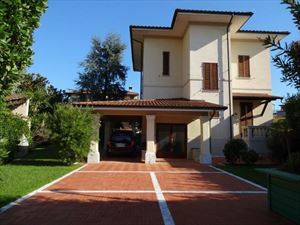 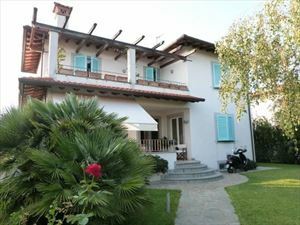 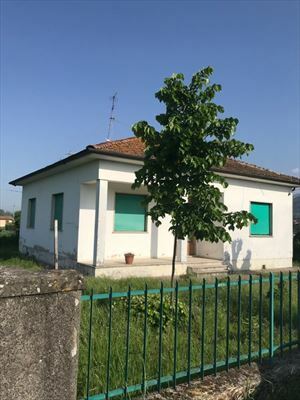 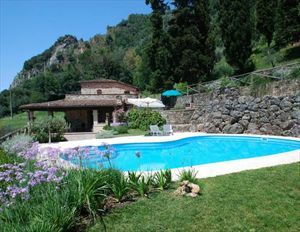 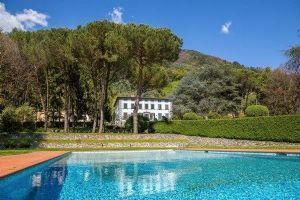 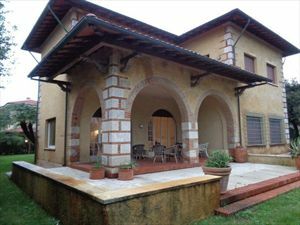 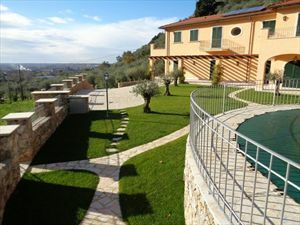 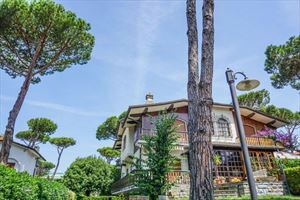 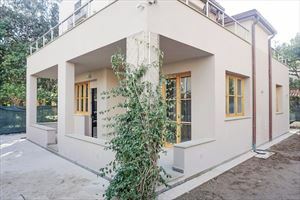 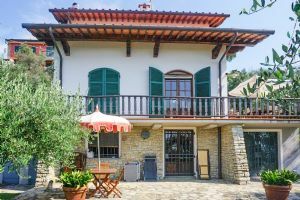 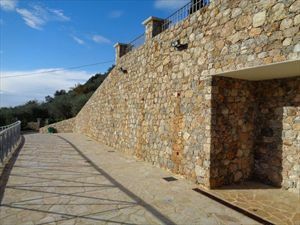 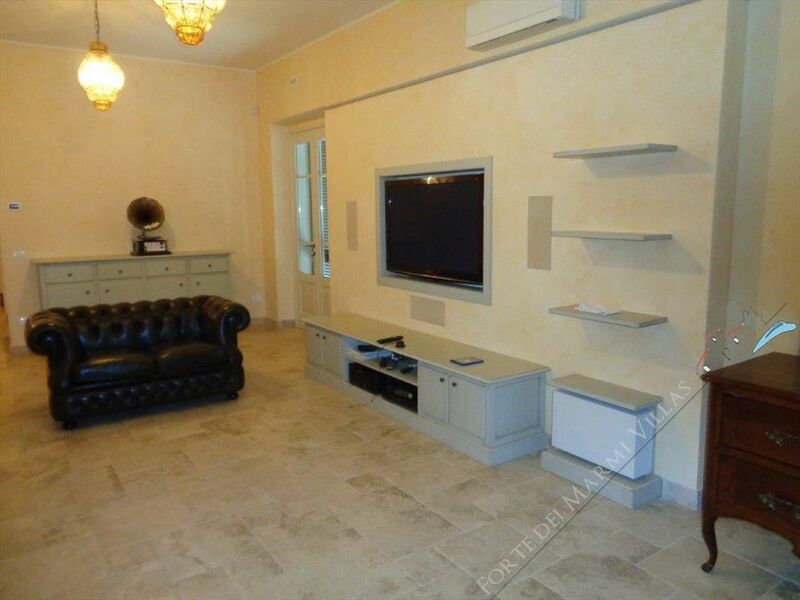 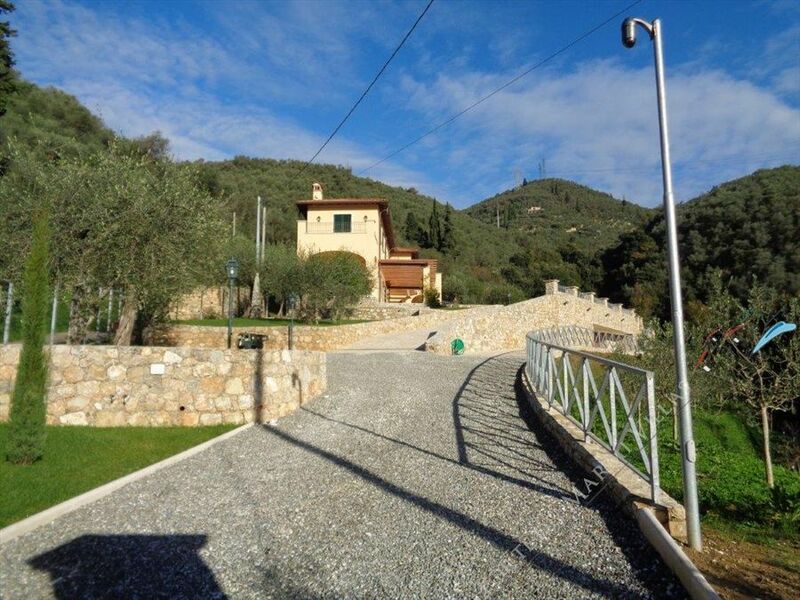 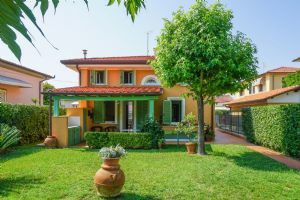 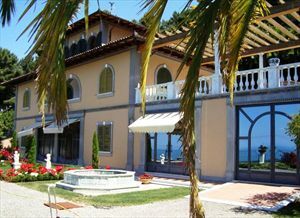 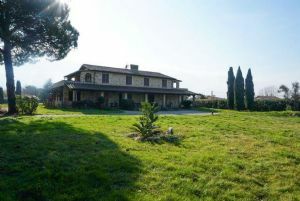 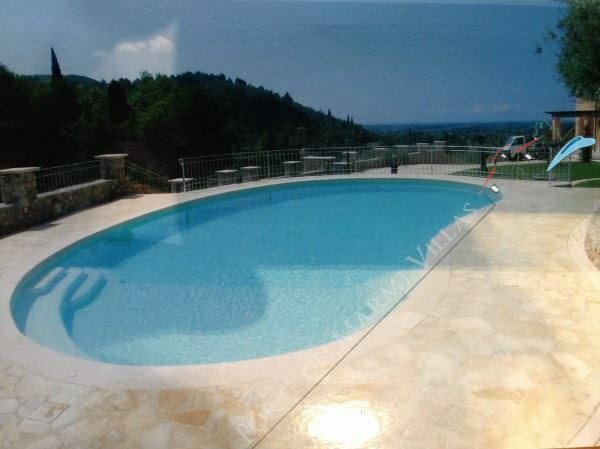 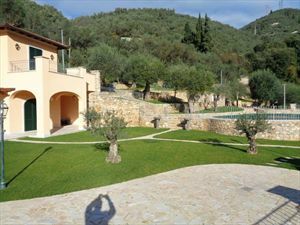 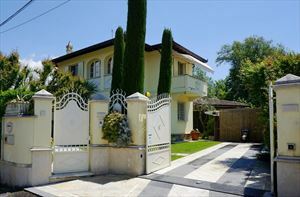 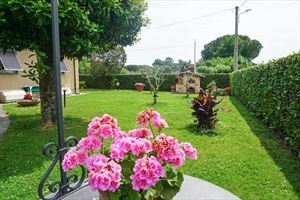 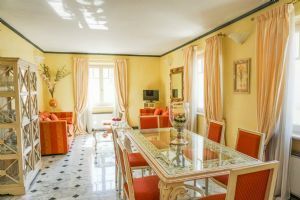 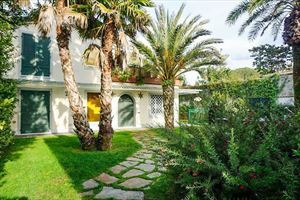 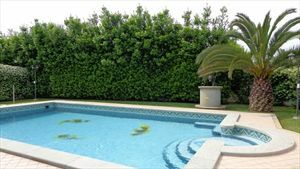 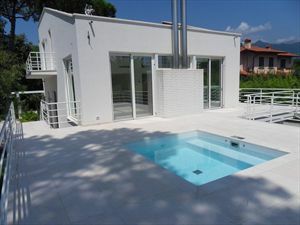 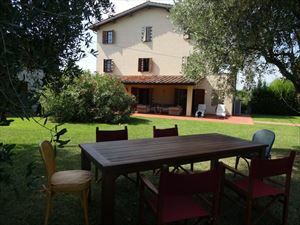 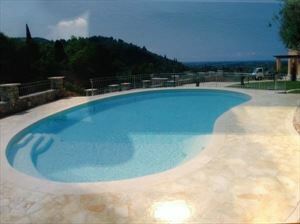 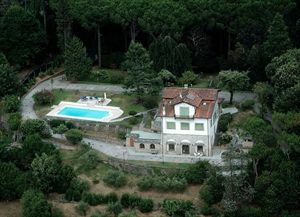 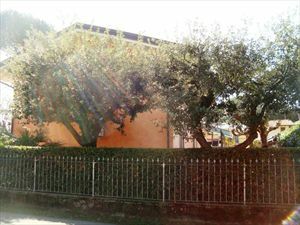 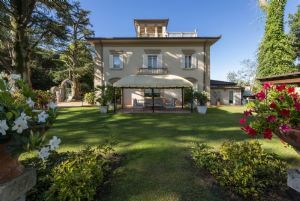 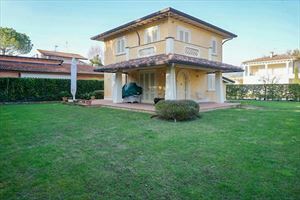 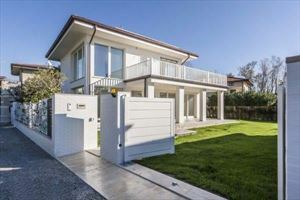 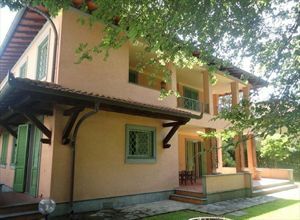 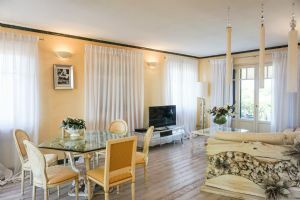 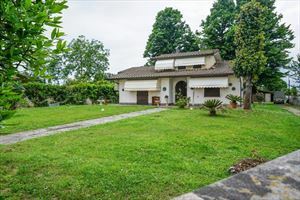 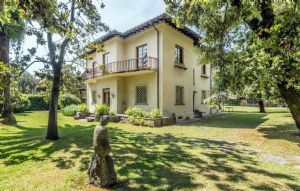 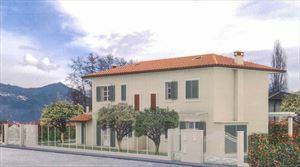 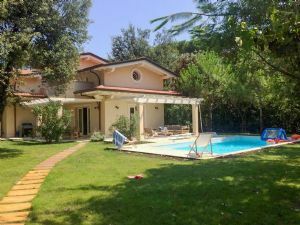 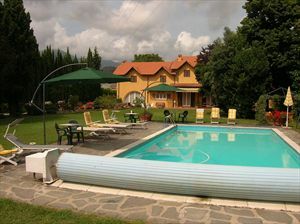 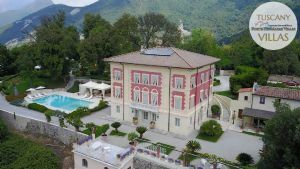 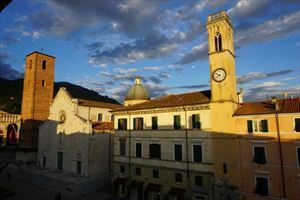 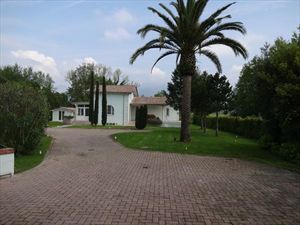 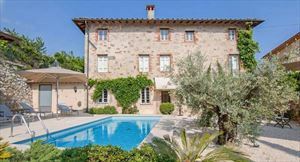 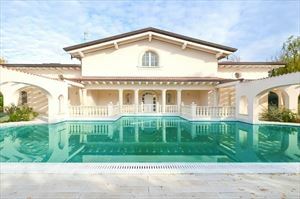 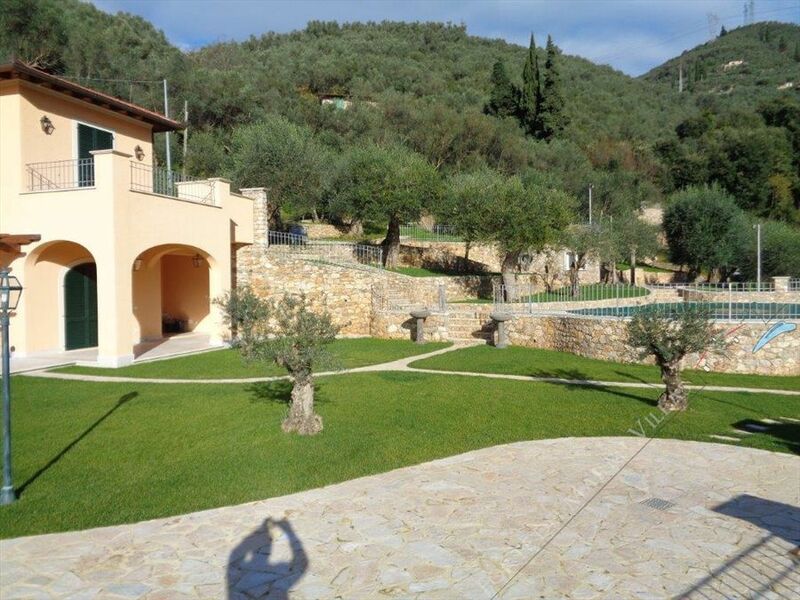 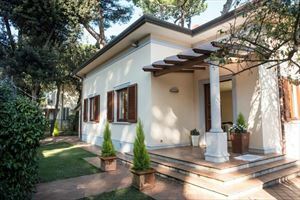 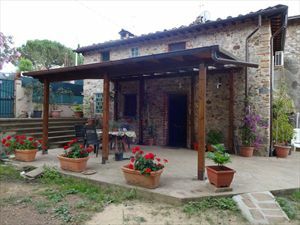 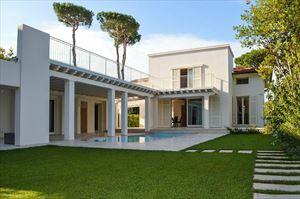 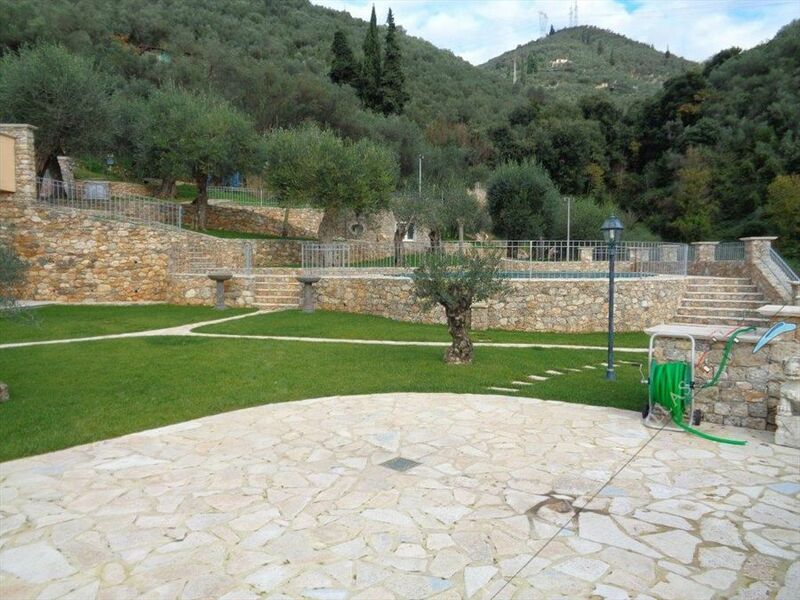 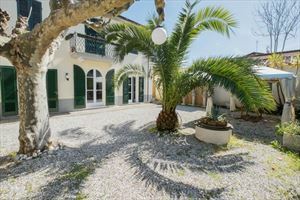 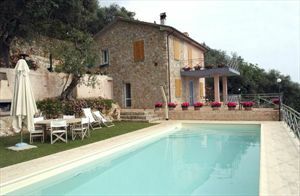 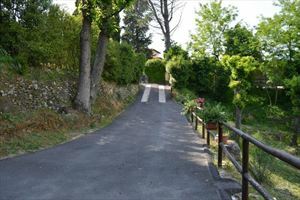 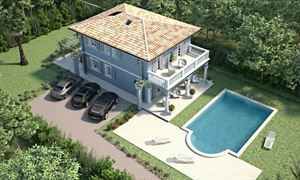 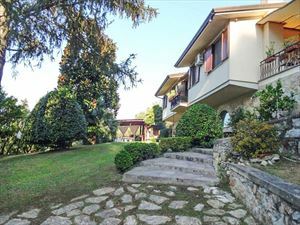 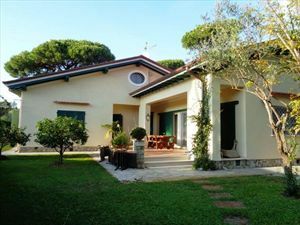 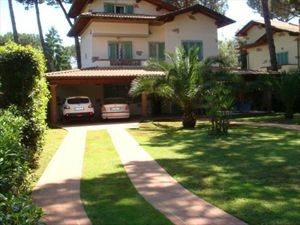 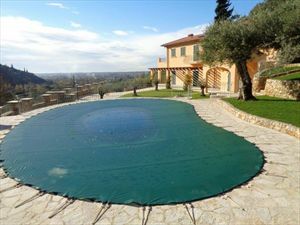 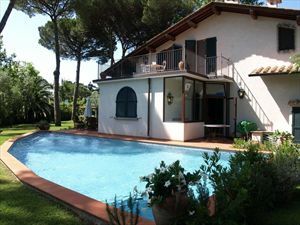 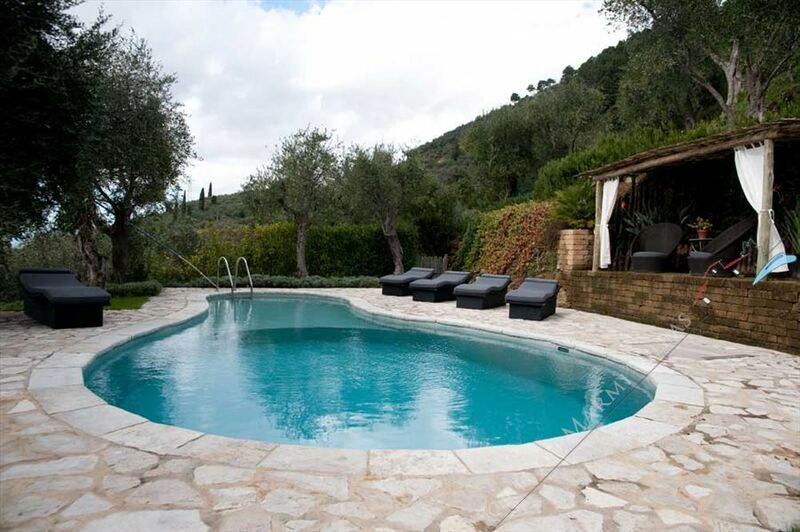 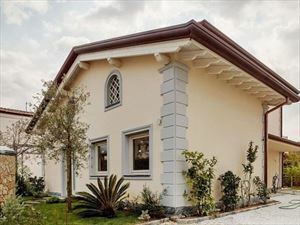 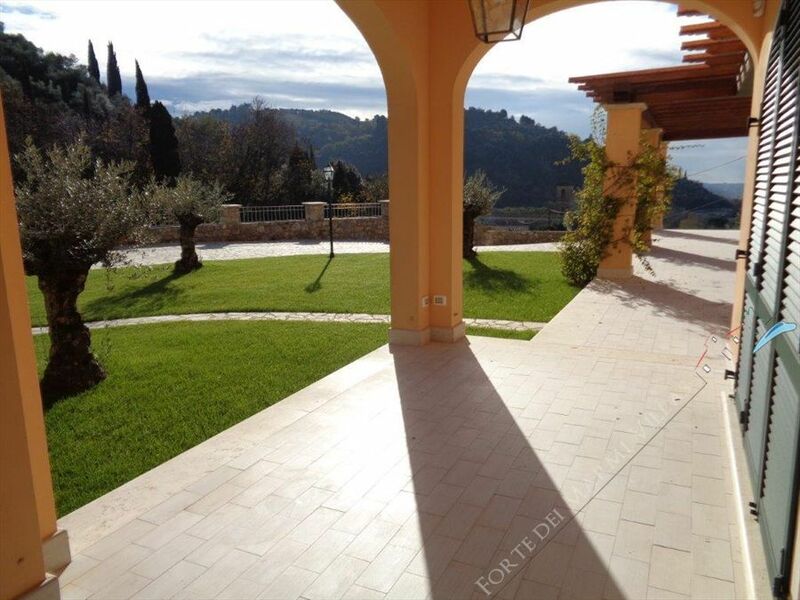 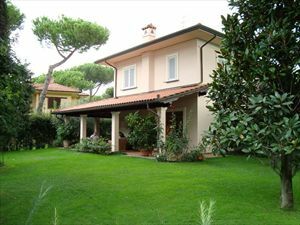 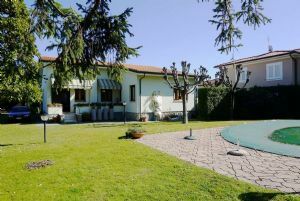 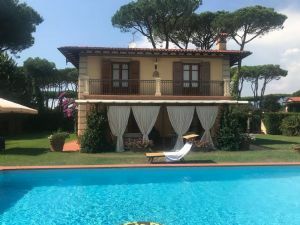 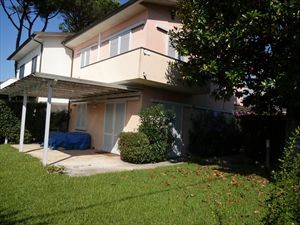 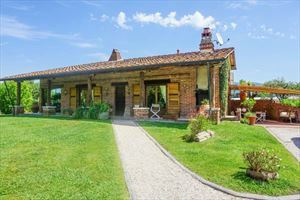 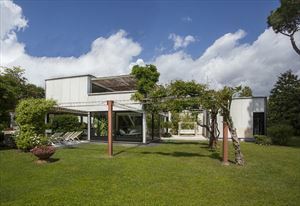 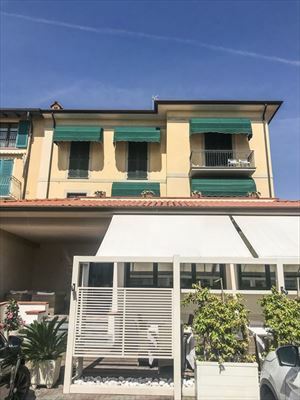 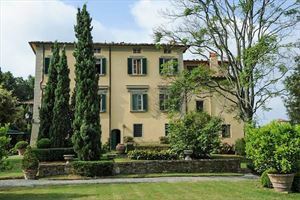 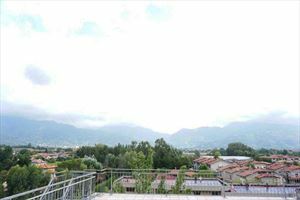 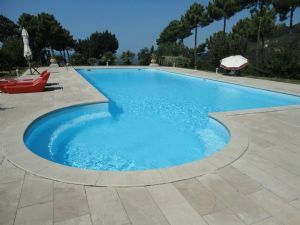 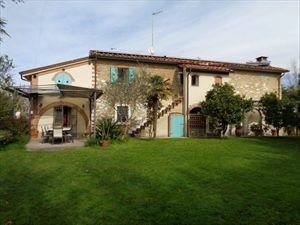 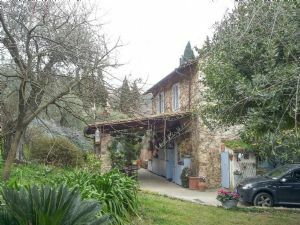 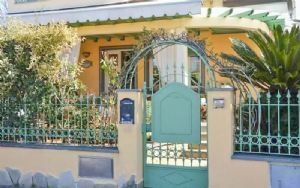 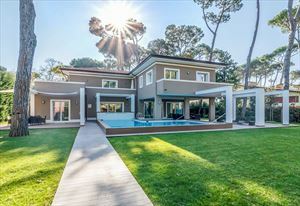 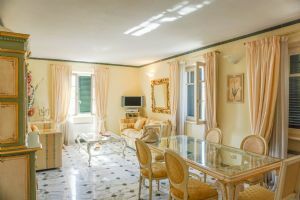 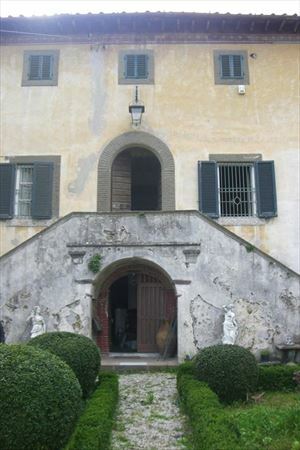 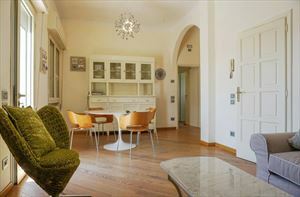 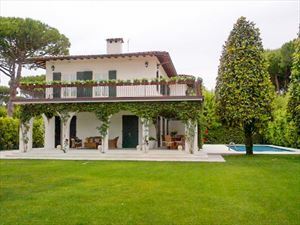 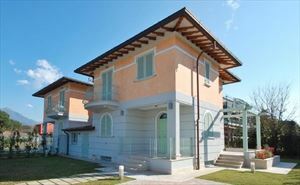 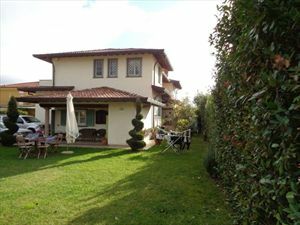 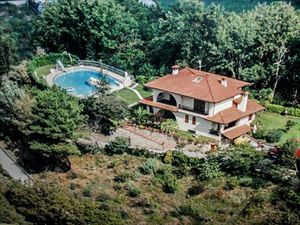 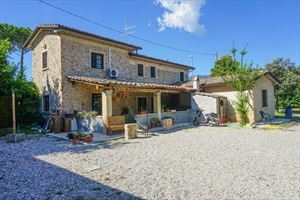 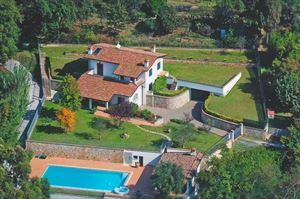 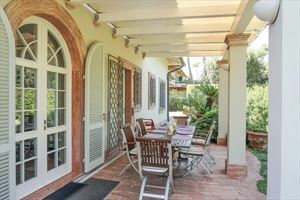 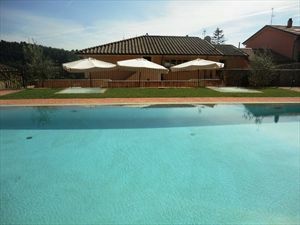 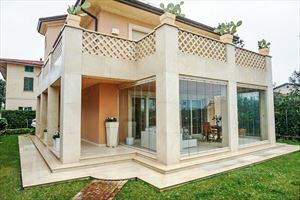 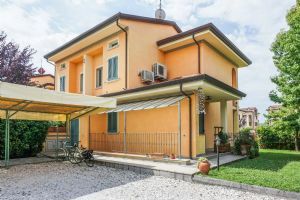 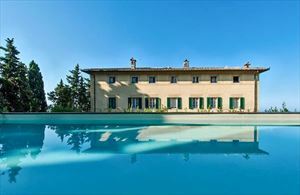 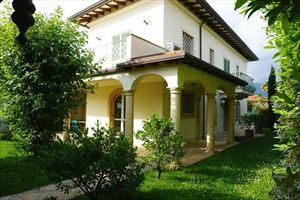 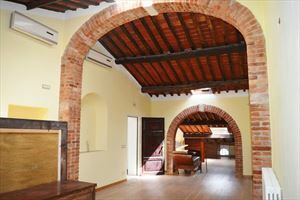 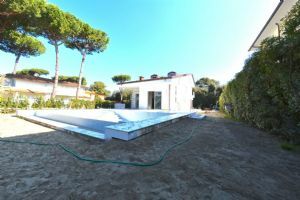 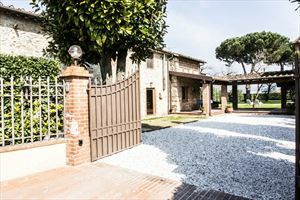 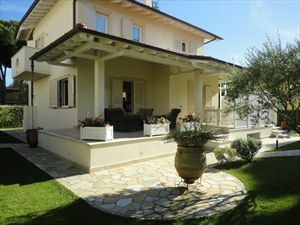 A gorgeous villa (250 m2) with a large well-tended garden and pool located in Pietrasanta at a distance of about 4 km from the sea. 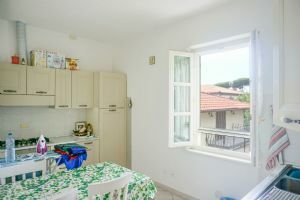 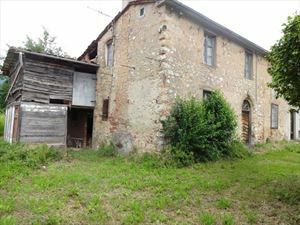 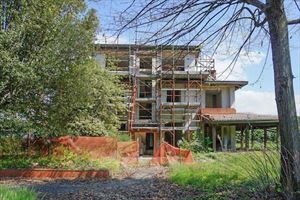 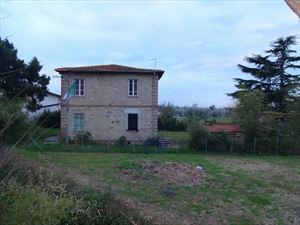 On the ground floor there is a large living room, bathroom, kitchen and laundry. 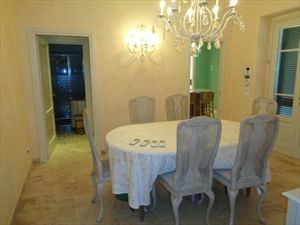 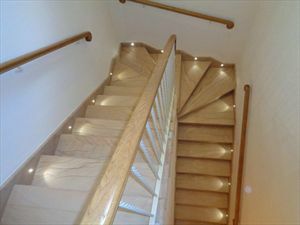 Upstairs are 4 bedrooms and 2 bathrooms. 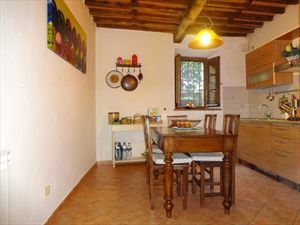 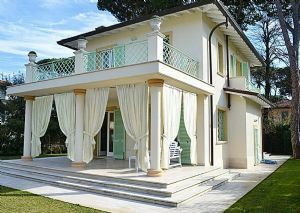 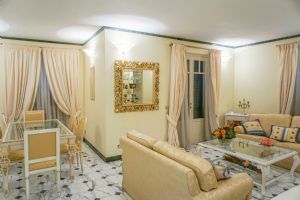 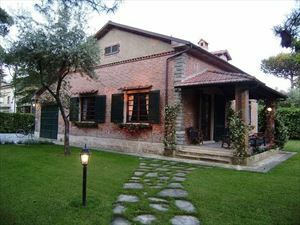 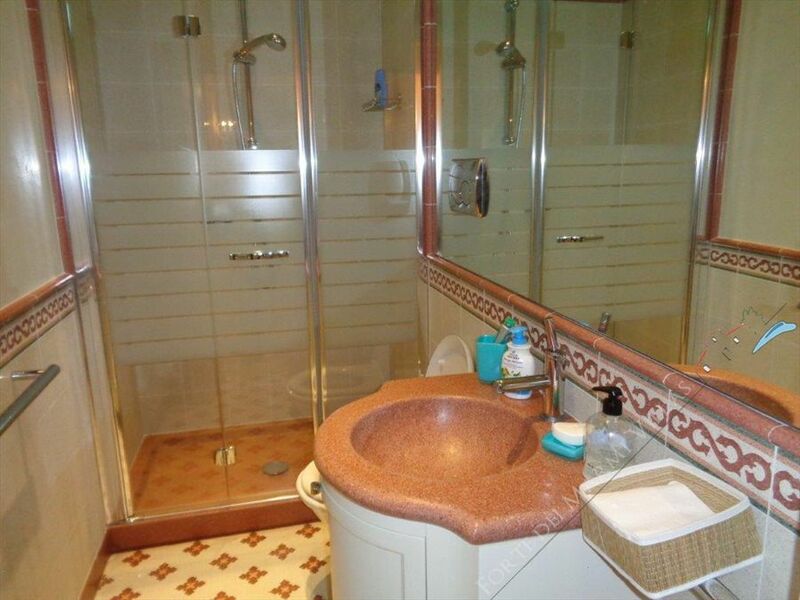 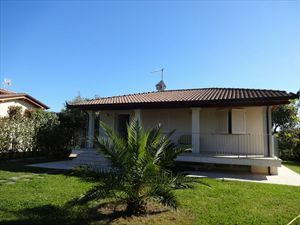 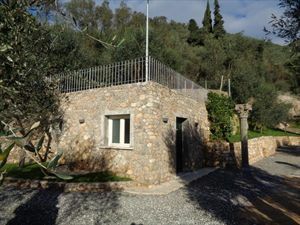 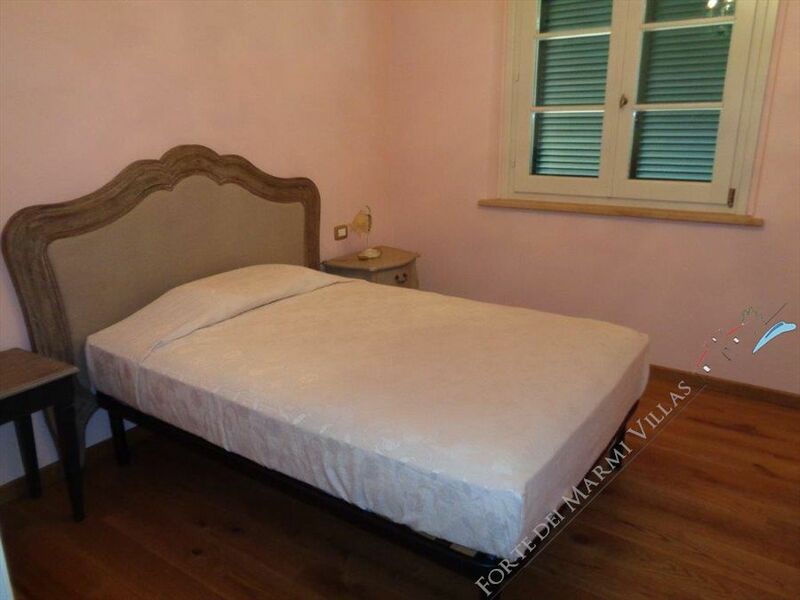 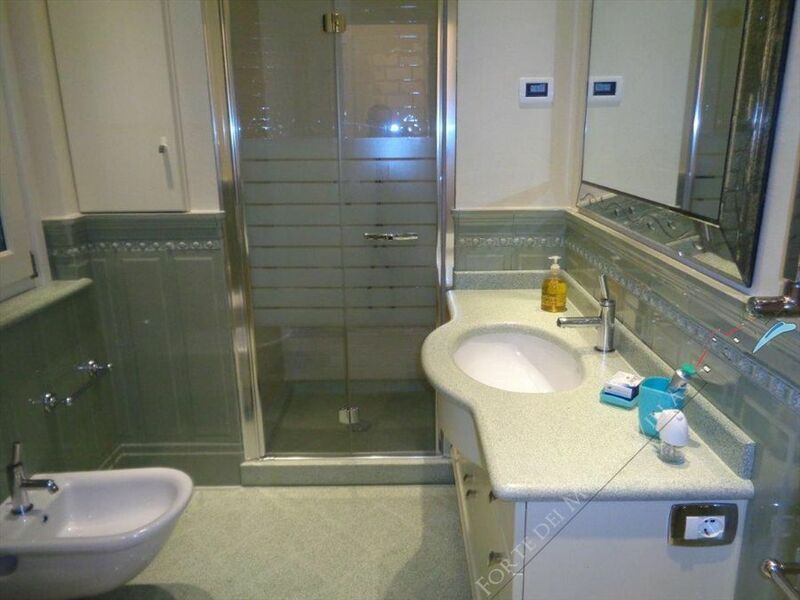 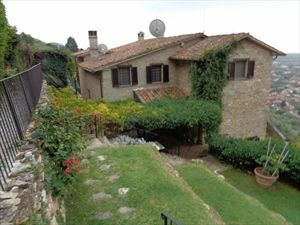 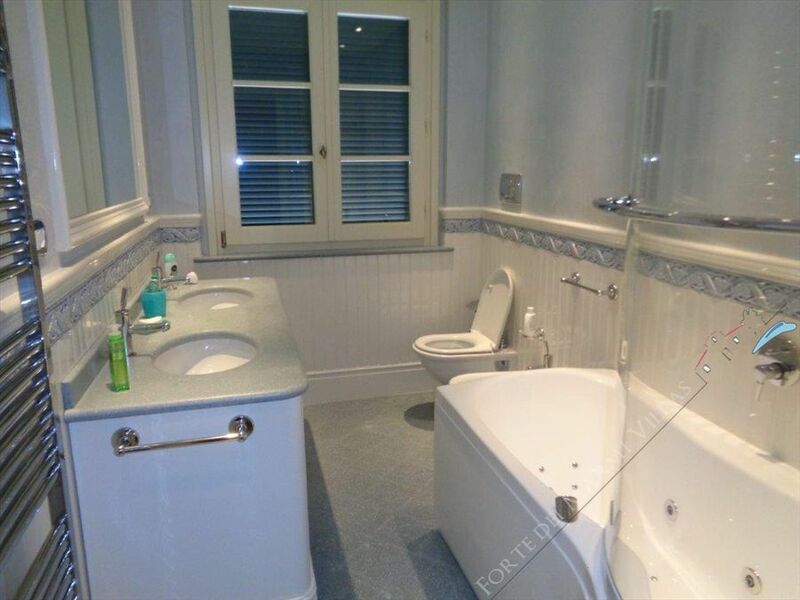 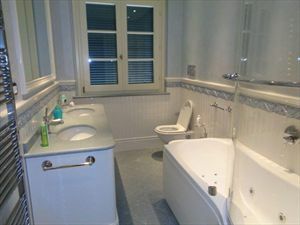 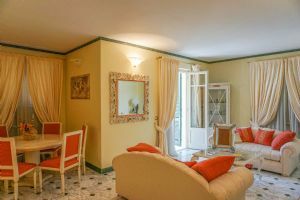 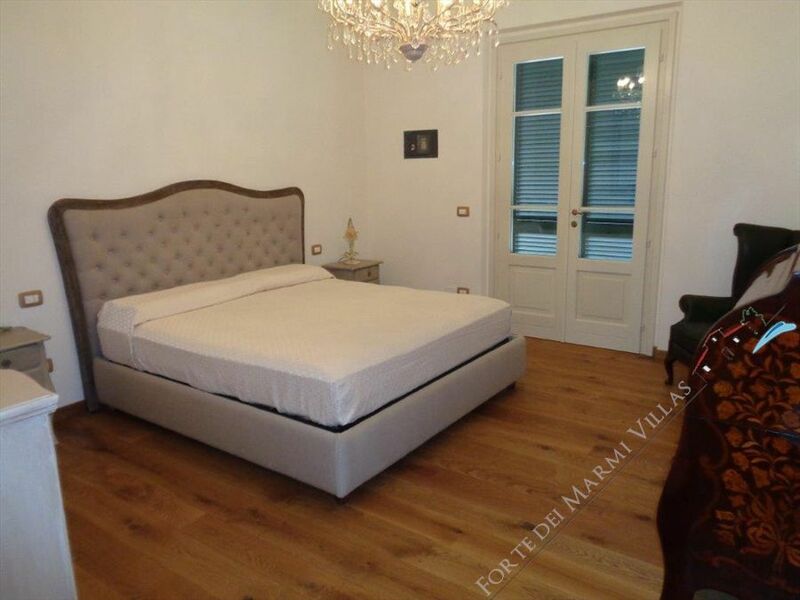 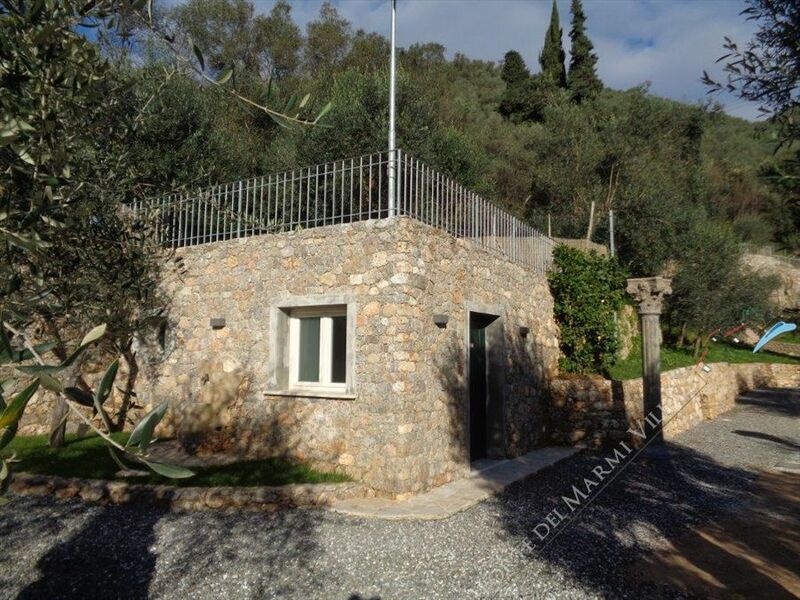 The villa also has a small house for staff, consisting of a bedroom and a bathroom. 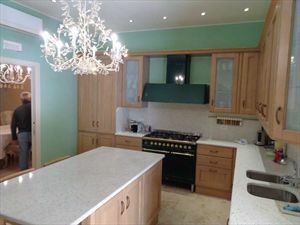 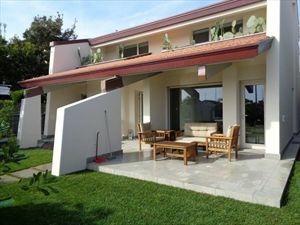 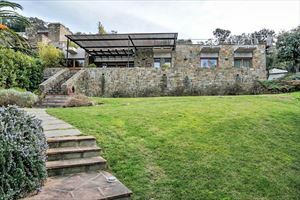 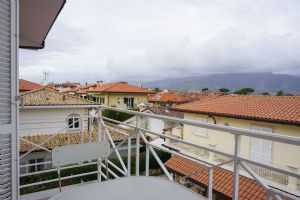 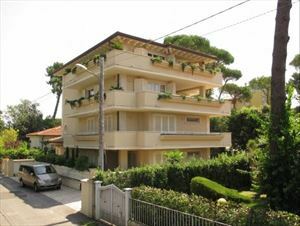 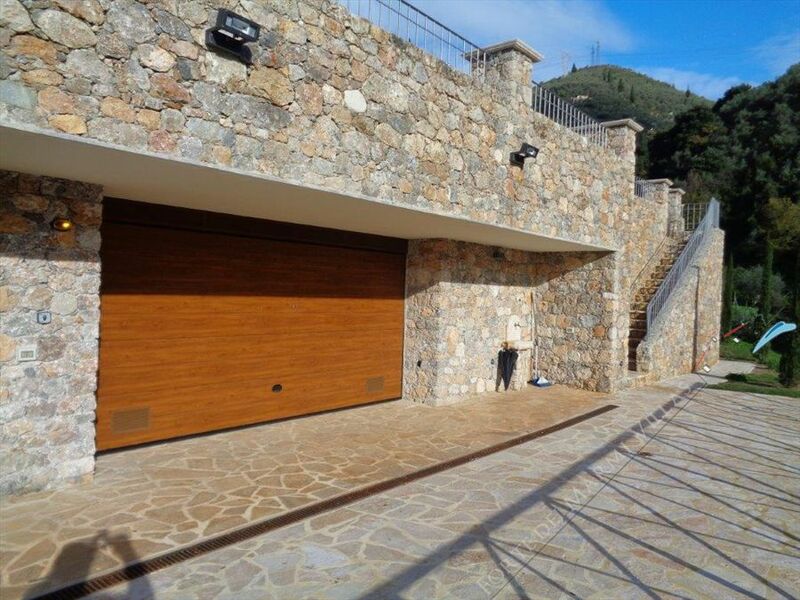 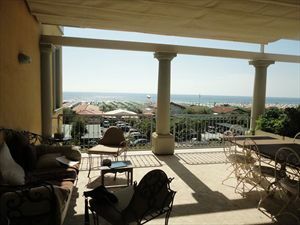 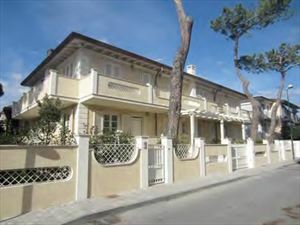 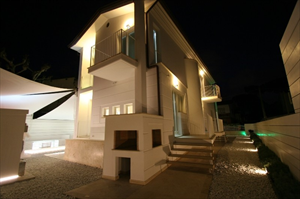 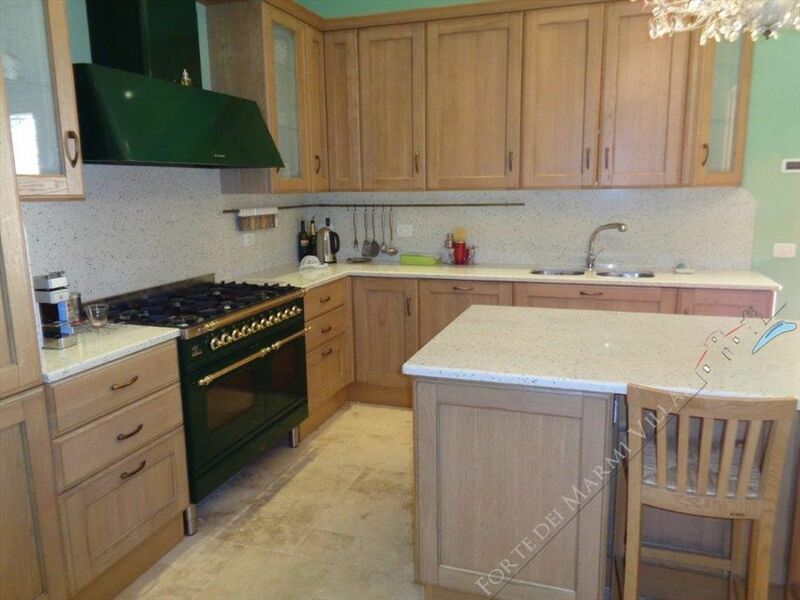 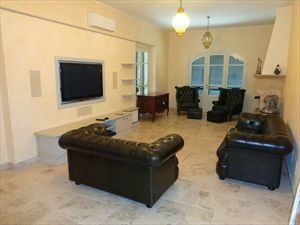 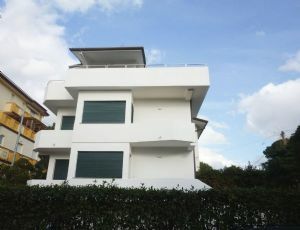 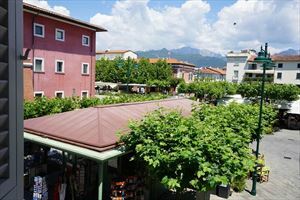 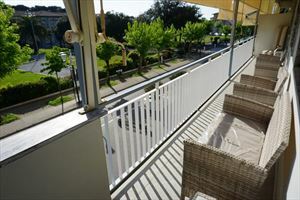 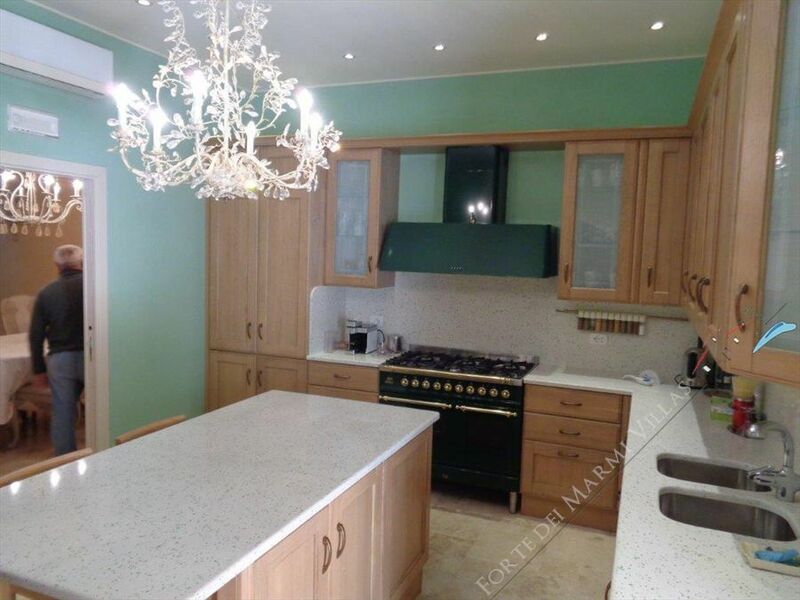 The property is provided with air conditioning, alarm system, satellite TV, Wi-Fi, automatic gate, garage.